Manor’s pledge to industry-leading quality begins even before the work does. Our engineers and quality inspectors work closely with our tooling and development experts to guarantee excellence from the start. We closely monitor every step of the manufacturing process to ensure that products not only meet but exceed the most stringent standards. We’re constantly striving to improve processes, keeping customers’ satisfaction at the forefront of everything we do. Earning the prestigious ISO 9001:2015 certification is just another way to show our commitment to superior quality. “Achieving ISO 9001:2015 certification for Manor Tool was a team effort, and the process went smoothly thanks to the hard work and dedication of everyone involved. I worked together with all of our different departments, including sales, purchasing, production, inspection, and tool room in order to update our procedures to incorporate risk assessments. By continuously assessing the risk of taking on a large project and the demand associated with that, we can continue to help our customers meet their goals,” said Lucy Lopez, quality assurance manager for Manor Tool. Download a copy of our ISO 9001:2015 certification. The ISO 9000 family of certifications was first published in 1987 by the International Organization for Standardization (ISO), laying out the basic principles of quality management systems. Put simply, this family of certifications provides critical tools and guidance for companies and organizations that want to ensure quality standards are being met. The layout is similar to the previous ISO 9001:2008 standard, following the “plan, do, check, act” method, but the new ISO 9001 certification places more emphasis on risk-based thinking. The general purpose of these quality objectives is to assess company adherence to the requirements, facilitate effective deployment of necessary initiatives, and improve quality management systems overall. ISO 9001:2015 requires companies to document any other procedures required for compliance, and issue and communicate a documented quality policy, a quality management system scope, and key quality objectives. Organizations certified to the ISO 9001:2008 standard have a three-year period to transition to ISO 9001:2015. That transition period ends in September 2018. 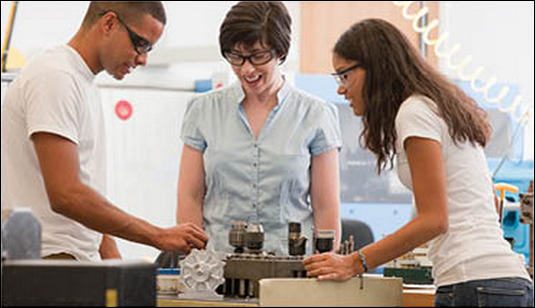 A new version of ISO 9001 is released about every seven years. ISO 9001:2015 certification is important for a number of reasons. Though the certification isn’t law, it’s the world’s most popular standard for quality management systems. Earning the certification reflects a high level of professionalism and shows that a company’s products and services are of a consistent quality. ISO 9001:2015 certification also illustrates that a company’s offerings meet customers’ unique requirements. Plus, abiding by these guidelines can allow for streamlined business processes as they are continuously improved upon, saving money and time for both Manor and their customers. Visit our Quality Assurance Department page to download a copy of our ISO 9001:2015 certification for your records. 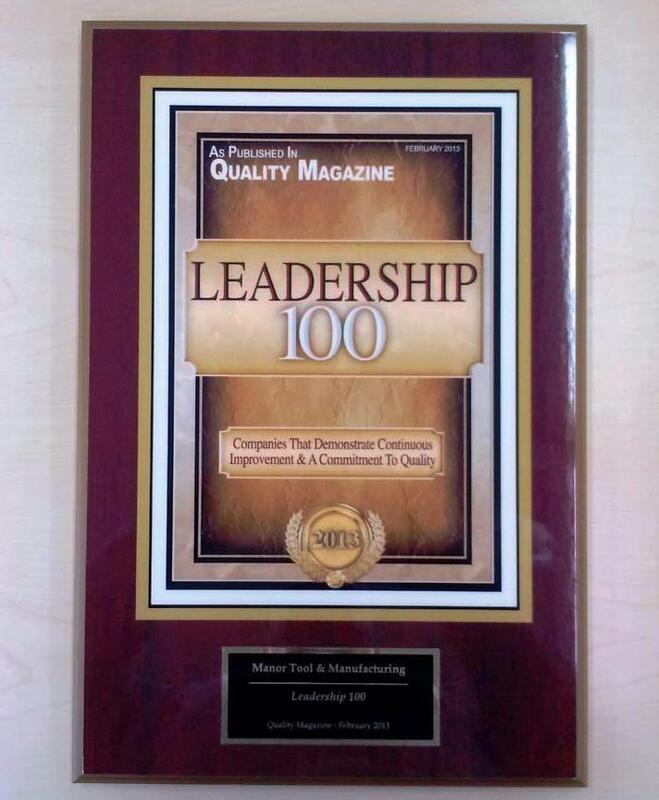 Manor Tool & Manufacturing has been selected as one of Quality Magazine’s 2013 Quality Leadership 100 companies. To make this prestigious list, Quality Magazine domestic subscribers were evaluated on a number of factors including quality training, continuous improvement, and internal quality programs, among others. Manor is in good company–Ford Motor Company, Boeing, Chrysler, and Whirlpool also make the list of companies that have shown they are committed to quality. To learn more about our quality services, click here. To learn more about the Quality Leadership 100 rankings, click here to watch a video from Quality Magazine.